Dr. James Edward Erwin, 71 of Collegedale, went to sleep in Jesus on Tuesday, June 19, 2018, after a 14-year courageous battle with Alzheimer’s. Jim was born on June 24, 1946, in Greene County, near the town of Erwin, Tn. (named after a relative). His dream was to be a professional baseball player. A doctor friend offered to pay his way through medical school but Jim felt called to be a minister. After graduating from Fletcher Academy in North Carolina, in 1964, he attended Southern Missionary College, now Southern Adventist University, where he received his BA in Theology in 1968. He volunteered for the U.S. Army, training at Fort Campbell, Ky., and at Fort Sam Houston, Tx. Jim married Andrea just 13 days before he left for Vietnam, serving as a Combat Medic (1-AO) with the 11th Armored Calvary Regiment, K- Troop. Jim returned home one year later and finished his duties at Fort Carson, Co.
Jim completed his Master of Divinity at Andrews University in 1975 and a Doctor of Ministry from Vanderbilt University in 1981. He was working on two other doctorates simultaneously, one in Communication from UTK and in Leadership from Andrews, when he was diagnosed with Alzheimer’s in 2004. Jim was employed as a minister with the Georgia-Cumberland Conference of Seventh-day Adventists for 32 years. He was also an adjunct professor at Southern Adventist University for 10 years, teaching public speaking. Jim also taught Dale Carnegie Courses. He loved watching people grow with confidence. 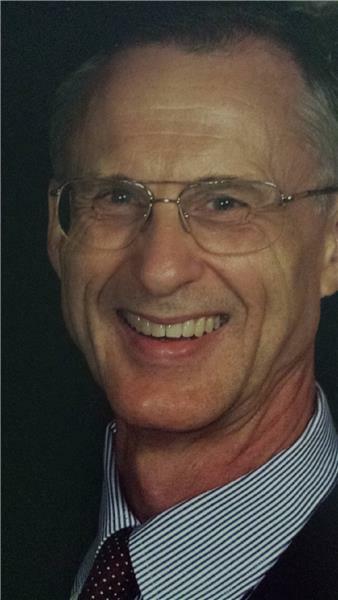 Jim was a member of Toastmasters International, winning numerous awards and served as an officer and area governor. As a member of the International Christian Magicians, he did illusions for children’s sermons, keeping the wonderment of young and old. Jim was also a member of the National Fellowship of Storytellers, his storytelling was impeccable, always intriguing and everyone loved to hear him speak. He was brilliant and a member of the Mensa International, holding conversations with the most intelligent and yet turn right around and explain the same thing so a child could understand. Jim was preceded in death by his parents, Elmer and Waitsie Erwin and his sister, Sue Fahrney. He is survived by his loving and devoted wife of 49 years, Andrea; two daughters, Kristin (Bud) Emmer and Michelle Erwin (Lea Harlan); granddaughter, Abigail Emmer; two step-grandsons, BJ (Lacey) Emmer and Sean (Amber) Emmer; three step-great-grandsons, Noah, Isaac and Luke. Jim is also survived by his “daughter”, Rebecca (Shawn) Benson and “granddaughters”, Ella and Sophia. A Celebration of Life service will be held at 11 a.m. on Monday, June 25, in the funeral home chapel with John Swafford, Clifford Port, Bill Young and Lyle Petry speaking at the service. Interment will follow at 1 p.m. on Monday at the Chattanooga National Cemetery. Jim’s family wishes to say thank you to Dr. Matthew Kodsi, MD, our caregivers and to Avalon Hospice, who helped us through this “long goodbye”. In lieu of flowers, the family requests that you make a memorial contribution in Jim’s honor to the VFW, Post 1697, P.O. Box 2103, Collegedale, Tn. 37315. Jim was a past post commander and they contribute to educational scholarships and help maintain the flags at the Collegedale Veteran’s Park. Education and patriotism were very important to Jim. You can also contribute to the Animal Medical Professionals Angel Fund, 5620 Main Street, Ooltewah, TN 37363, who helped us with our beloved dog, Cairo. Please visit www.heritagechattanooga.com to share words of comfort to the family. The family will receive friends from 4-8 p.m. on Sunday, June 24, Jim’s 72nd birthday, at Heritage Funeral Home, 7454 East Brainerd Road, Chattanooga, Tn. 37421.